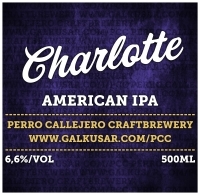 Description: An American IPA has much the appearance of a pale ale, with a color range from burnt gold to an orange tinted copper. It will be clear unless dry-hopped and unfiltered; something becoming more and more common as brewers try to pull every ounce of flavor they can out of their hops. Head will be white to off-white, retention can be variable (lots of hop oils will reduce head retention somewhat). Food pairings: Salty & Fried Foods, Spicy Foods, Bold & Sweet Desserts.